Want a Master Recycler t-shirt? Many of you asked about a Master Recycler t-shirt in the past and we've finally got some options for you! We created designs for both a women's cut and unisex t-shirts, which you can see by scrolling through the gallery below. We are asking $20 for the shirts. Both are in a "slim cut," so we recommend checking out the sizing guides just to be sure. If you'd like us to order one for you, please email dlenzen@flagstaffaz.gov with your size. The next Master Recycler course is open for registration! Do you know anyone who would be interested in joining you as a Master Recycler? If so, registration is now open for the second annual Master Recycler course. Please direct interested individuals here or have them contact us at dlenzen@flagstaffaz.gov or 928-213-2158. On the October 17th, Flagstaff's City Council adopted the Rethink Waste Plan, which establishes ambitious goals and a near term plan to guide the City's efforts in reducing the impact of its waste and material consumption. Read more on the Master Recycler Blog. Reporting your volunteer hours helps us show the impact of the program and improve your experience. So, even if you've completed your 30-hour commitment, we ask that you continue to report you hours. If you'd rather not complete our online form, please call Dylan at 928-213-2158 to share your experience. The next couple months may slow down a little bit as far as volunteer opportunities goes. Make sure to continue to check back as opportunities are added. While we may have less sponsored events where you can volunteer, you are always welcome to create your own opportunities by giving presentations at your work, improving recycling systems, and more. Also, if you know of an event that could use a Master Recycler volunteers, let us know and we will do our best to create an outreach opportunity. Congratulations to our newly CERTIFIED MASTER RECYCLERS! Debby DeWolfe has long been an active volunteer. Formerly a Sustainability Commissioner, she has a helping hand to the City of Flagstaff and its sustainability programming and we're happy to have her as a Master Recycler. 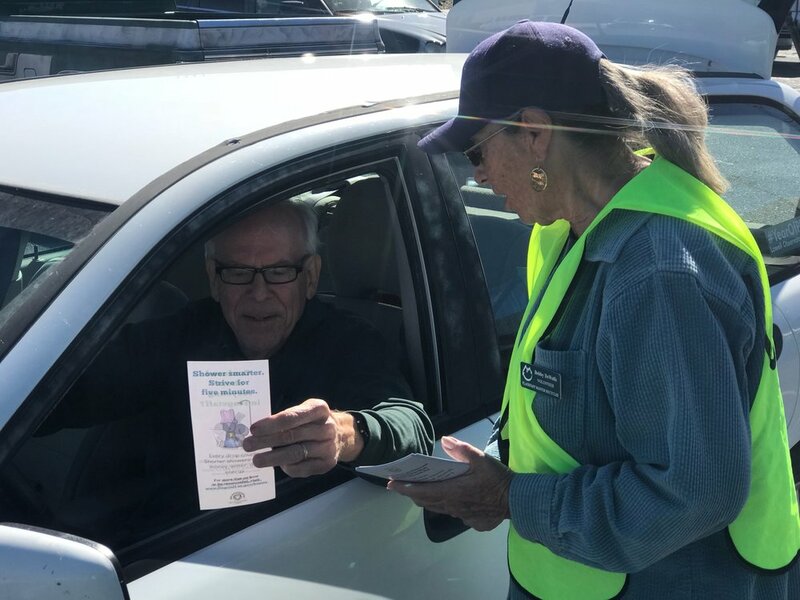 She has been active throughout the community this past year, providing outreach in a variety of different settings including the Flagstaff Community Market and Drop-off Day. She also contributed to the City's canvassing efforts in Sunnyside, helping inform residents on how to use their new recycling bins. Thanks for all your efforts, Debby! We're all glad you're a part of the Flagstaff community.